Man with perfect brilliant smile unshaven face defocused background. Guy happy emotional expression outdoors. Bearded and handsome. 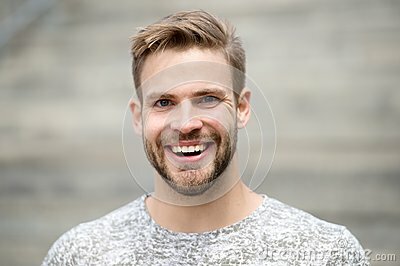 Man happy smiling face white brilliant teeth. Dentistry concept.